Visual Studio Code>Programming Languages>TMS320C54x DSP AssemblyNew to Visual Studio Code? Get it now. 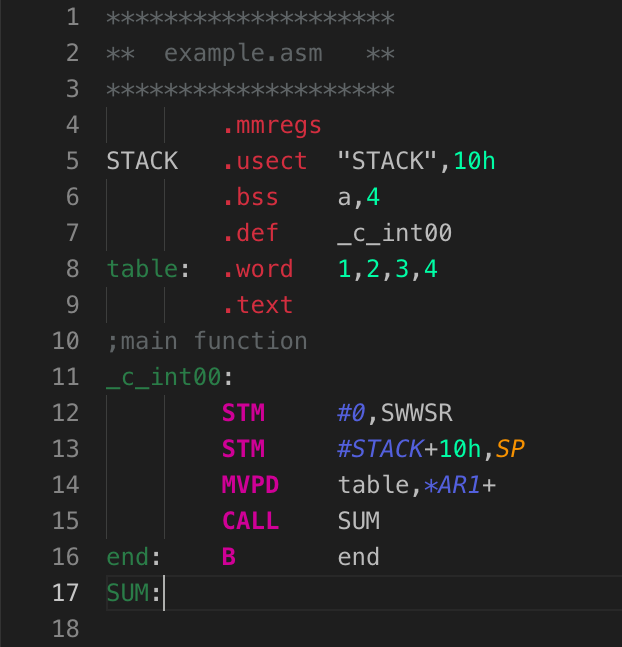 This VSCode extension provides basic TMS320C54x Assembly language colorization and snippets support.